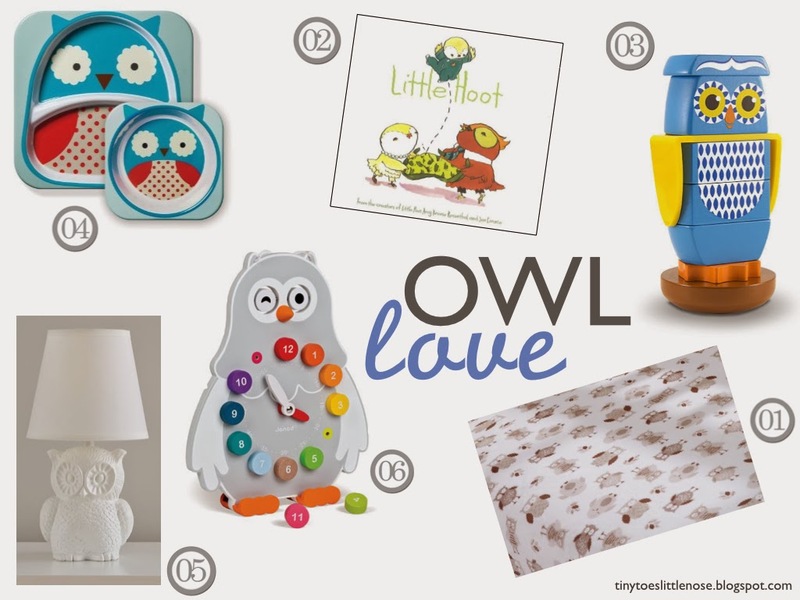 I have developed a wee bit of an owl obsession since Liam was born! I mean...have you seen my little boy's halloween costume?! Lucky for me, owl's are definitely trendy right now. So, I have been able to swoop up all sorts of adorable stuff! Liam is a little young for the clock, but you know I will be adding it to his playroom at some point. Maybe sometime soon actually, because it would be perfect perched up on a shelf! Any other adorable owl stuff out there that I need to know about? I did not see Liam's Halloween costume! Omg, so cute. I love the pic of him sitting next to Peter Pan, haha gotta love October =) I love owls too. They are so adorable. omg i love owls, always have. love that lamp!